I was in high school, going through one of those phases where it seems like “everyone has a boyfriend but you”. I was tired of being home alone when my friends went on dates. I was over and done with being the third wheel on outings. I didn’t understand why I was not on anyone’s radar. Even to the point where none of my friend’s boyfriends were thinking of introducing me to their friend. I didn’t get it. I really don’t know. 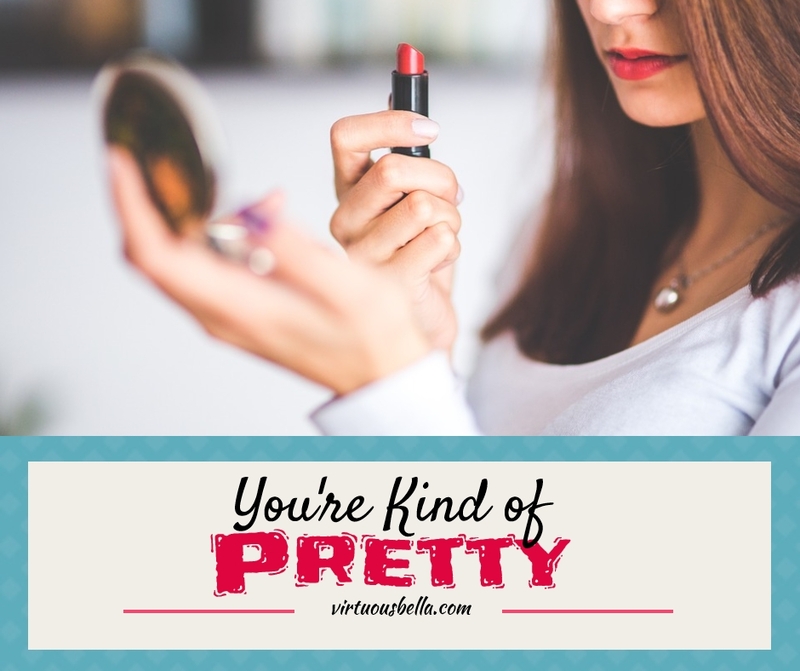 You’re kind of pretty. Certainly not the encouragement one would hope for from her best friend. Nor was it followed up with any sort of help either. If she told me that I dressed like a hobo or needed to talk about something other than unicorn collectible figurines… that would be something. But nothing. End of sentence. Back to hair styling and lipstick. I knew that in a sea of sun-kissed blondes, in S. Florida, I was an oddity. Porcelain skin and fiery red hair sticks out like a sore thumb around these parts. I had never considered that I wasn’t attractive at all, or not fun to be around. I had loads of guys as friends. But, my dance card remained empty. In this time of being alone, I learned a few things. I watched my friends navigating in and out of relationships. I began to get a better idea of what I did and didn’t want out of a relationship. I also learned something about my friends, as I watched each of them alter their personality to fit the interests of their new beaus. He likes country music, she likes country music. He is into deep sea fishing, she is into deep sea fishing. He loves Mountain Dew… oh my gosh, so does she. Music preferences changed by the month. How the girls dressed and what fashion trends they followed created a mountain of clothes hiding in their closets and spilling out their drawers. I also watched these same girls being ultra conservative with the guys they picked up at youth group, and then wearing next to nothing when it was the guy they met at the beach. In order to stay in relationships and never be single, these girls were compromising their “true self”… all of the time. I learned in my season of drought, that I needed to be true to myself. I needed to really figure out who I was, what I wanted out of life, and where I was heading before I could even consider who would becoming along for the ride. If I don’t really understand myself, how could I ever find my place in a relationship? How could a relationship be built on honesty and commonality if I transformed myself at every flash of a cute smile or twinkling in a casual eye wink? On an even deeper level, I realized that the relationship I wanted to focus on most was between myself and God. If I was going to conform to anyone, I wanted to conform to His image (Romans 8:29). I needed to embrace the way He knit me in my mother’s womb (Psalm 139:13), and the very hairs on my head that He knew the count of (Luke 12:7). And so, I began to make new decisions. I would stop dying my hair to hide the fiery locks that He chose for me. No more bottles of various temporary tan lotions would scatter my bathroom. The time to stop wallowing over boys was upon me. I was going to choose to focus on all the wonderful things about being single. From not having to share my popcorn and drink at the movies, nor having to worry about someone stealing fries off my plate. I didn’t have to worry about what activities WE could afford to do, but what I could afford to do. I learned to be brave and go places by myself. I can assemble furniture, change the oil in my car, get a quote on home repairs, and so much more. It wasn’t that I didn’t “need a man”, but rather that I became more comfortable with myself until the right man came along. I was no longer on the hunt, but living life to the fullest. I have great memories of that drought season, and that independence has served me well even in my marriage today. I am great helper to my husband because he can count on me to do so many things in his absence. I was exactly the kind of woman he needed in his life. The season of drought allowed me to figure out who God wanted me to be, and to travel those roads. I had no idea, that at the very same time, God was working on the heart of a guy who was among our circle of friends. In this same time that I was figuring out my way, the Lord was changing him from a boy into a man. One night, many years later, hanging out as a group like we had always done… something was different. These two familiar faces were suddenly being seen in a new light. Less than a year later we were married. That was twenty years ago. We tend to think of droughts as bad, negative forces. However, for the wetlands, droughts are wonderful news. It actually allows the land to rejuvenate itself, the old becomes new again. Now when I feel like I am in a dry spell, I embrace it as a time to rejuvenate myself. Whether the dry season is related to relationships (romantic or friendship), your career, or even your ministry calling… droughts allow us to focus on God and His purposes. Lean in to Him, to be the living waters in a dry land. Lean into Him, to cleanse the dust from your heart. Allow Him to work IN you, rejuvenating you from the inside out.